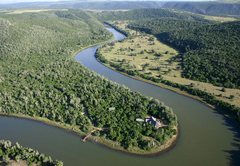 Sibuya Game Reserve is a highly recommended Eastern Cape game lodge providing a wildlife experience for discerning tourists visiting Sunshine Coast. 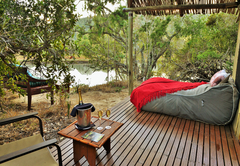 Sibuya Game Reserve is malaria-free and conveniently situated near Kenton on Sea on the Sunshine Coast, just 130 kms from Port Elizabeth. 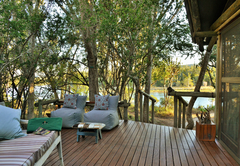 Based at the secluded Camp on the banks of the Kariega River, guests are a short boat trip from the river mouth and Kenton's idyllic beaches. 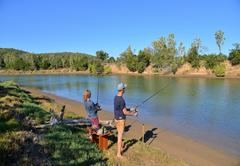 Guests are collected at the river mouth (The River is an Estuary) in the small town of Kenton on Sea, where safe parking is provided, and the unique experience starts immediately with a gentle cruise up the Estuary to the game reserve 9kms upstream. 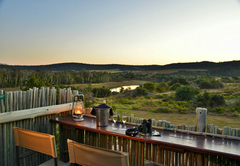 Sibuya Game Reserve incorporates the unique East Cape Valley Bushveld, Grasslands and Coastal Forests. 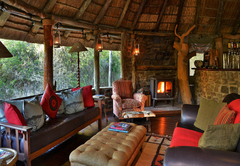 Antelope abound, including the rare Bontebok and Oribi. Giraffe and Zebra silhouetted against an Indian Ocean backdrop complete a truly memorable picture. 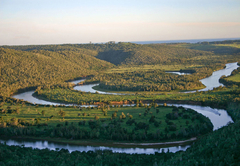 The ancient floodplains and pristine coastal forest host an abundance of wildlife: nearly 400 bird species and 45 species of wildlife including the “Big Five”. 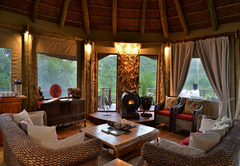 The lush vegetation ensures a high density of wildlife and one of the best game-viewing experiences in the country. 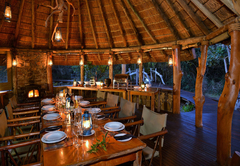 After settling in to the accommodation - luxury en-suite tents on raised wooden decks - guests are able to map out their own programme with their guide. 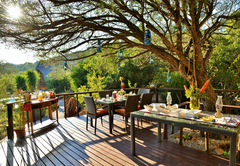 A mixture of game drives, river cruises and guided walks will enthrall those with a desire to fill the day, whilst hammocks in the trees or a fishing line dangling in the water will suit those who wish to take it easy. 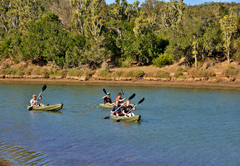 For the really energetic canoeing and deep-sea fishing can all be provided at extremely reasonable rates. 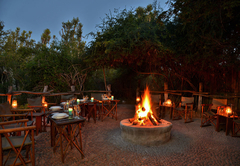 But what makes this a truly memorable experience is the unequalled splendour of the vistas as one views game against the magnificent backdrop of pristine coastal forest and the sea a few kilometres away. 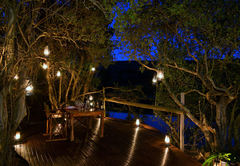 Completing the "under canvas" experience are the tranquil evenings around the campfire listening to the lapping waters in the river and the night calls of the bush while feasting on our superb cuisine. 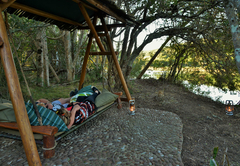 In true bush camp tradition all the distractions are removed as the absence of electricity ensures the experience is not spoilt by the sounds of modern society. 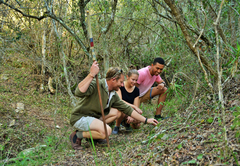 Professional guides and an abundance of game and birds will leave you saying "Sibuya" - we will return. 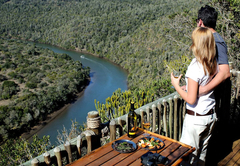 Activities included in package rates: game drives; river cruises; guided walks; fishing; fly fishing; canoeing; swimming (in the river and sea); birding; beach walks. 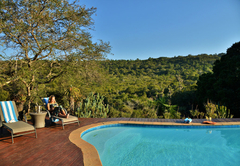 Activities not included but offered as extras and needing to be booked in advance: horse-riding' deep-sea fishing, rock and surf fishing, horse riding, spa treatments', historical tours and guided bird walks. A warm jacket is essential for evening boat cruises, even in mid summer. Long pants are also recommended for evenings. Don't forget a swimming costume. 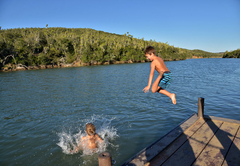 Suntan lotion (preferably waterproof) and sun block are essential all year. 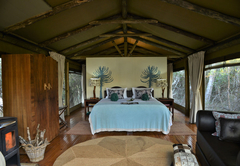 Luxury Tents. 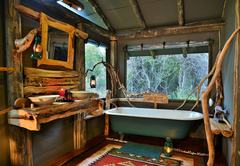 Full bathroom en suite. King size or Twin beds. No electricity -Solar power lighting. Not suitable for children under 12 years. 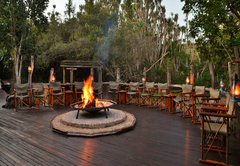 4 star Tents in Coastal Forest, and some on the banks of the river. Camp bed can be added for older child. 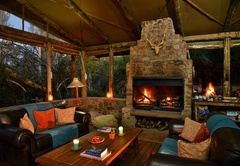 Luxury Tent. 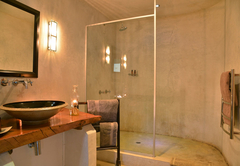 Full bathroom en suite. 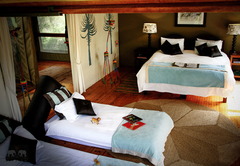 King-size or twin beds. 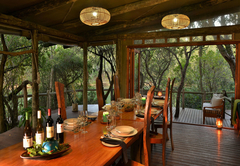 Solar lighting. Suitable for families with children. Not recommended for children under 3 years. 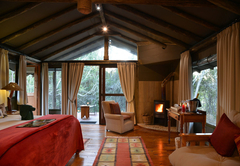 Small, intimate and friendly camp. Sleeper couch /Camp bed for child can be added to tent. 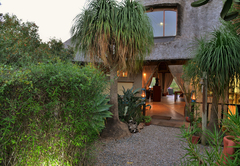 Bush Lodge has four secluded luxury thatched suites. 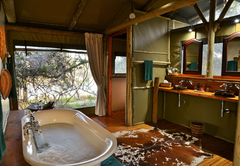 These stunningly appointed units are private, spacious and fully en-suite with outside and inside showers and private sun/viewing decks. Each room has a tea/coffee station. 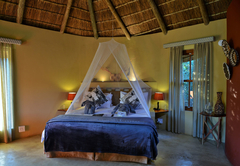 Only double beds available. 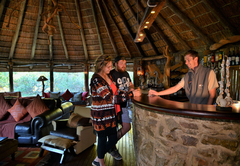 Accommodation, all meals, local beverages (juices, minerals, spirits beers and fine house wines), scheduled boat transfers to and from camp, afternoon and morning game drives, fishing, canoeing, bush walking and VAT. 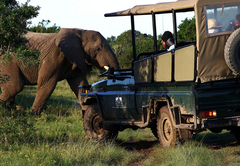 A game drive vehicle is available for all families with children under the age of 6 years at no extra charge. 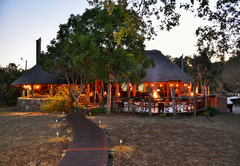 Response timeSibuya Game Reserve typically responds to requests in 5-10 minutes. 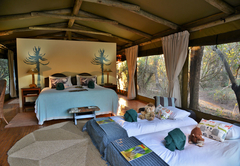 Child policyChildren 3 years and older are welcome in the River Camp and children 13 years and older are welcome in the Forest Camp, camp beds are available on request when sharing with parents. 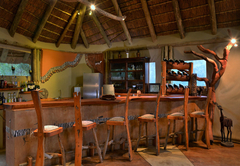 Exceptions to check-in times may be arranged in advance, please enquire.